It was a windy day. Many insects dropped out of trees, grabbing for any (hand)hold they could grasp. The focus is disappointing, which I attribute to the windiness of the day. But one only gets a few takes before the insect gets nervous and leaves. Really, I wouldn’t eat it, but try getting it to believe that! 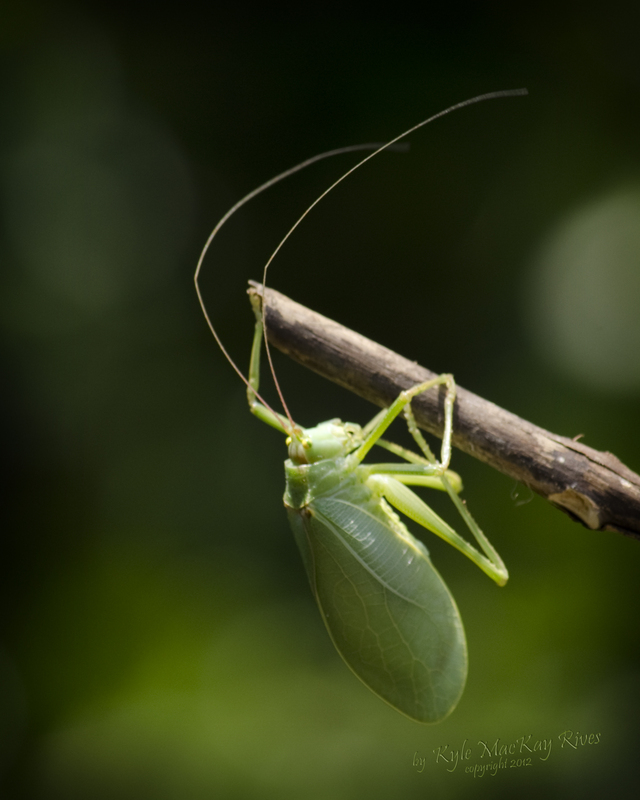 This entry was posted in photography and tagged 2012, clinging, insect, Katydid, nature, outdoors, spring.